In a recent survey, it has been found that 69 percent of the companies are opting for Web 2.0 for greater business benefits. This second-generation web based service enables businesses with more exposure for innovative products and services, competent marketing, better access to knowledge- base and higher revenues with reduced expenses. 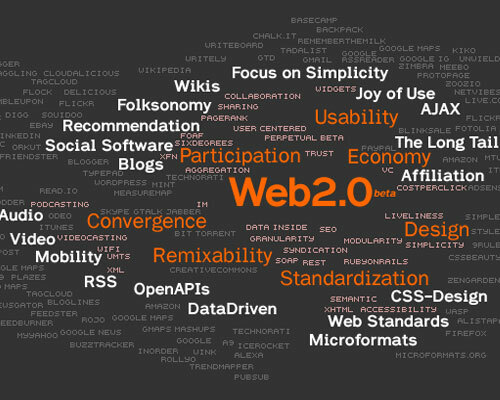 Already a favorite among some of the global giants, Web 2.0 can assist you to change your business processes by enhancing your productivity with user feedback during the development processes. Increase customer interaction, improve communication between your partners and alliances, encourage your peers to participate in projects and idea exchange through this technology. Thus, enhance the knowledge base of your Organization as a whole empowering better employee satisfaction. IDEA TSPL has been working with Web 2.0 technology since its inception. We offer rich internet apps, social networking sites, knowledge-sharing sites, community portals, online collaborations and varied communication tools. With our expertise in Ajax, Ruby on Rails, Adobe Flash, Flex and Open Laszlo technologies, we plan, build, design, test and implement Web 2.0 design and programming services within strict quality standards, fully integrating them into clients' business processes and system environment. Favorite among global giants such as, Google, Facebook, Digg, Twitter etc.